Accessthevote.org was created by Disability Rights Florida to assist voters with disabilities through the unique challenges of voting. Because of their audience, it was extremely important for them to have top-notch accessibility. This project was not a new build or a refresh, but rather a remediation: adding, removing, and retooling code to ensure the best experience for users of varying abilities. While some categories were easy to improve (language on links, color contrast), some proved more challenging. Any component that involved a third-party was — as usual — harder to fix. There are always pros and cons to weigh when adding third-party plug-ins to a site, and even the most widely used are not always fully accessible. For this site, the pros of these plugins outweighed the cons, but we found ways to improve them where we could. The Able Player plugin gives greater control over playback for users with disabilities, and even works with embedded Youtube videos. Embedded Youtube videos have poor accessibility. To improve it, we implemented Able Player to give users with disabilities a better experience and more control over the playback speed, contrast and captioning. 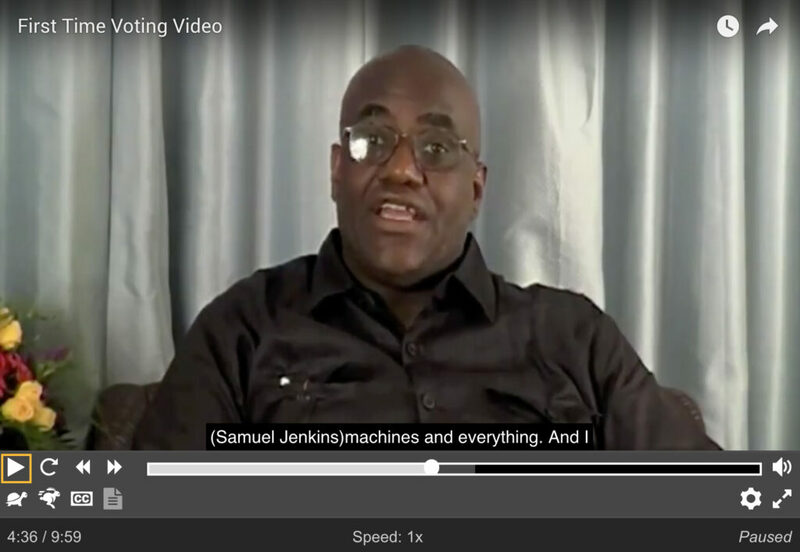 We also replaced the automated Youtube captions with human-generated captions, for improved accuracy. Another external widget that is problematic is Google Translate. While it certainly provides a service for users who are more comfortable viewing content in other languages, it can also introduce some accessibility issues and other bugs (like not always adding the current language codes to the HTML tag, for example), which can lead to further confusion. Advomatic is proud to work with organizations like Disability Rights Florida, and look forward to continued collaboration as they stay on with us as a Support client.